This book is a classic in cryptographic literature. 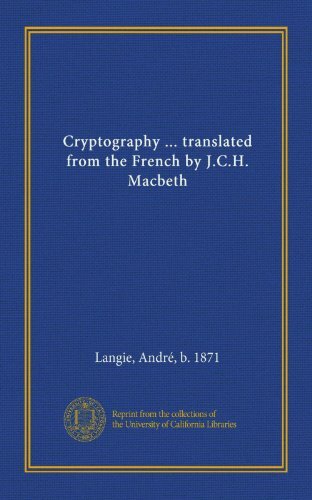 Text is divided into parts: Descriptions of the principal systems of cryptography; Examples of deciphering (cryptanalysis); Lists and tables with bibliography; plus an important section titled 'The Playfair Cipher'. This latter section is written by Lt. Commander W.W. Smith, U.S. Navy. Here the student is taken step-by-step through the solution of a Playfair Cipher problem.